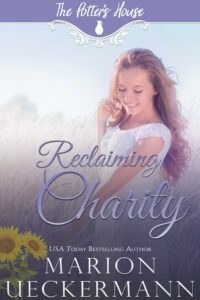 Reclaiming Charity by Marion Ueckermann is a marvellous contemporary Christian novel. It is part of The Potter’s House series but can be read as a stand-alone. Marion Ueckermann writes about relevant issues with realistic characters. Some face their own demons. All are likable. The past has a way of intruding on the present if we let it. Within a relationship there should be nothing hidden. We need to know what motivates and drives behaviour. Within the novel there is a marriage in trouble. Marion Ueckermann pulls no punches. She shows the ups and downs of a relationship which has very high highs and very low lows. The fall out reaches a teenage daughter who at times seems wiser than her parents. The reader feels her pain as she would hate to have to choose between them. Remember Me by Marion Ueckermann is a delightful Christian romance that will warm your heart. It is the first book in the Chapel Cove Romance series and I cannot wait for the subsequent books. There are always opportunities to return to God, no matter how far we have wandered. 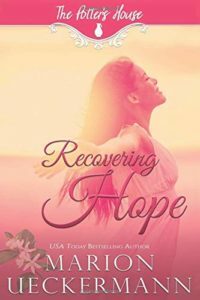 “Was it possible for her to find her way back to Him?” There are themes of the prodigals returning, second chances and new beginnings. When we return home, both physically and spiritually, there is much rejoicing. God never wanders from us. “She’d lost touch with the Almighty.” Sometimes in the good times, we lose sight of God. We are so ‘me’ focused that we forget that all our blessings come from Him. 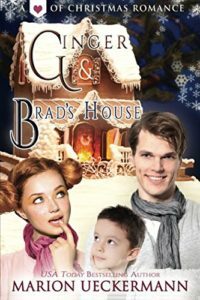 Ginger And Brad’s House by Marion Ueckermann is a most delightful and heart-warming Christian romance that will leave you smiling. The story is about second chances and new beginnings. “God had turned his bad mistake… into something beautiful.” God can take our messed up lives and transform them if we would just trust Him. “Surrendering himself fully to God.” We need to trust ourselves and others too. Withdrawing from life is not a good option. Far from protecting us, it isolates us and if we are not careful, it will make us bitter. We all make mistakes and need forgivenesss. If we withhold it, we will be guilty of hubris and our burden may become heavier. We must forgive because we have been forgiven. Within the novel there is a gingerbread house building competition. This is a motif for our lives. We need to give God all the pieces of our broken lives and watch Him rebuild and restore. Recovering Hope by Marion Ueckermann is such a powerful Christian contemporary read that will shoot your emotions to pieces. It is part of the Potter’s House series and book two in the Shaped By Love series but can be read as a stand-alone. Marion Ueckermann always writes tales about real issues that affect us all. Recovering Hope is no exception. Marion Ueckermann deals with the difficult topics of stillbirth, depression and suicidal tendencies. These themes are all sensitively but realistically presented. Depression can strike at any time. Sometimes there is a trigger but it may also be due to a chemical imbalance. I am sure we all know someone who has suffered from depression or maybe we have. The important thing is to get help, talk and take the medicine. Do not suffer in silence.